Promoting strong, healthy muscles is about much more than remembering to go to the gym every week. Healthy muscles require significant nutrients in order to stay healthy and fit. These herbal teas offer vitamins, minerals and other useful properties that can help to support healthy muscle function. Flax seed tea offers a wealth of nutrients, many of which are beneficial for supporting healthy muscle growth and function. 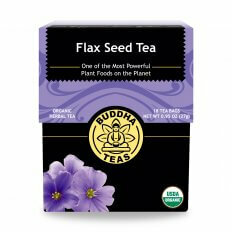 Flax seeds are exceptionally high in omega 3s, which recent studies show may help muscle growth. It also helps to reduce inflammation, which may limit muscle soreness after a workout. Holy basil tea offers benefits in several areas, and muscular support is no exception. Holy basil may act as a COX-2 inhibitor, limiting the release of pro-inflammatory compounds in the body. There is also indication that holy basil has an anabolic effect, promoting protein synthesis and healthy muscle development. This root is often used to promote a healthy sleep cycle, but is also effective for supporting muscles. 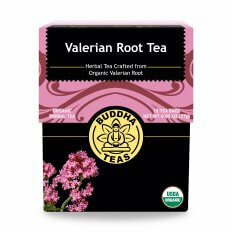 Valerian root tea can reduce muscle cramps due to its antispasmodic compounds. These compounds ease tension in the muscles, allowing for better performance and reducing impairment. Its sedative properties also relax the muscles to reduce restlessness. This herbal tea serves as a natural muscle relaxant. Wild cherry bark tea can help you to release tension in the muscles, and can alleviate cramping and minor muscle spasms. This effect can bring relief to minor muscle pain and discomfort. Women in particular may find this useful for easing discomfort from abdominal cramps caused by muscle spasms.